Food so fresh, the whole family will love. As a busy working mom of two young boys, it’s easy to reach for takeout menus or frozen dinners on busy weeknights — been there, ordered that. 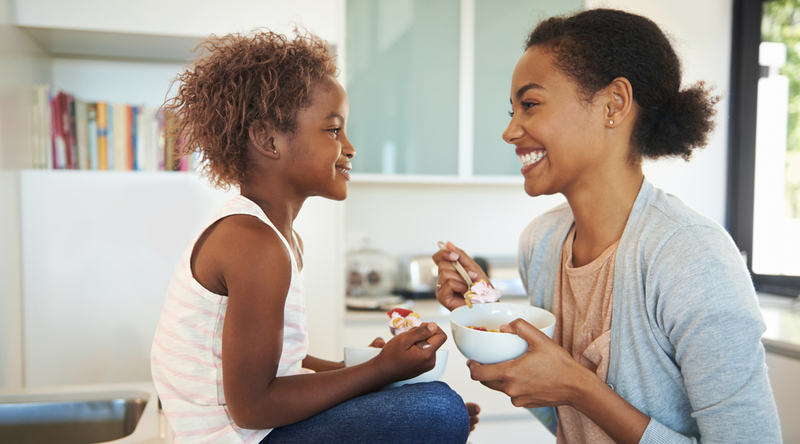 But the beauty of One Meal a Day, and making kid-friendly plant-based snacks or meals, is that it doesn’t have to be complicated. In fact, we’re aiming to make weeknights a little bit easier, one bite at a time. 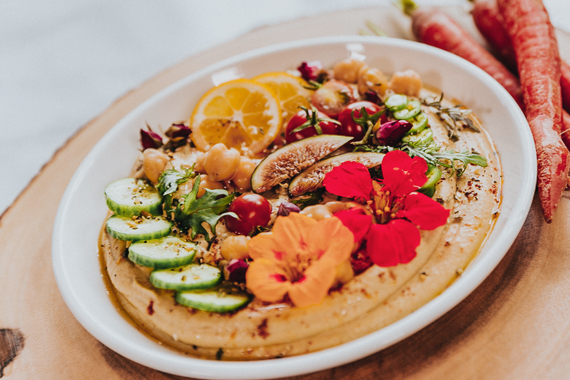 So sit back, relax, and keep scrolling to see 11 of OMD’s favorite kid-approved, plant-packed recipes to make meal time a breeze. Sweet or savory? The great thing about rice cakes is that they’re versatile. Dress them up with some almond butter, jelly and blueberries for a fun take on PB&J. Or go savory and top with some mashed avocado and sesame seeds. 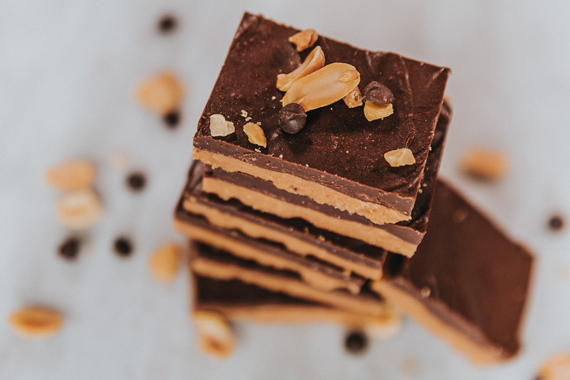 For a sweet snack that’ll satisfy any sweet tooth out there, this four-ingredient peanut butter bar is a hit with the kids (and adults!). This snack takes a little more prep, but it’s an OMD kid-friendly favorite – and travels well while on the go. 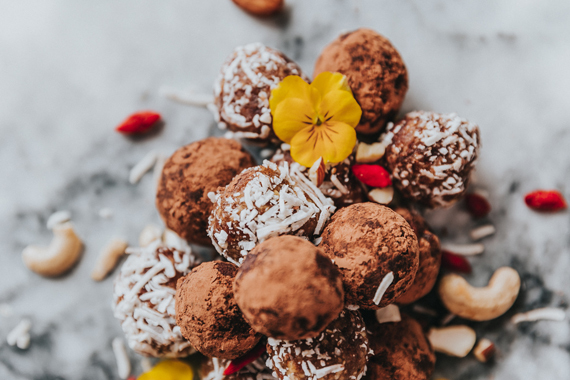 These almond-date energy balls are great for holding hungry kids over until dinner, and can be stored in the freezer to fuel any long work weeks ahead. Our Founder, Suzy Amis Cameron, says pita pizzas are her kids’ go-to. Simply spread your favorite plant-based cream cheese, top with sliced tomatoes, salt, and pepper and serve! My kids go bonkers for any brand of seaweed snacks. They are crispy like chips, salty, coated with rich olive oil, and melt in your mouth. 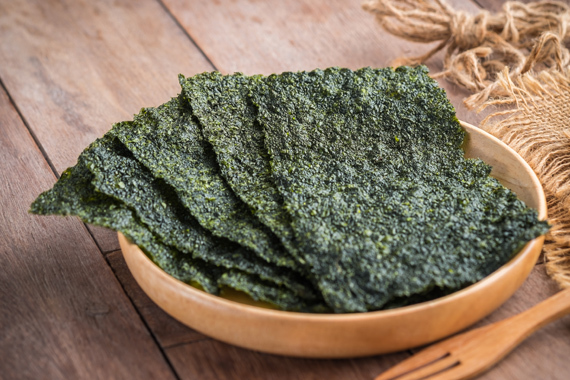 Seaweed is also an amazing source of vitamins, minerals, fiber and antioxidants. My kids love berry-loaded yogurts. Our favorite is Forager’s cashew-based yogurt, but you can use any kind you want. 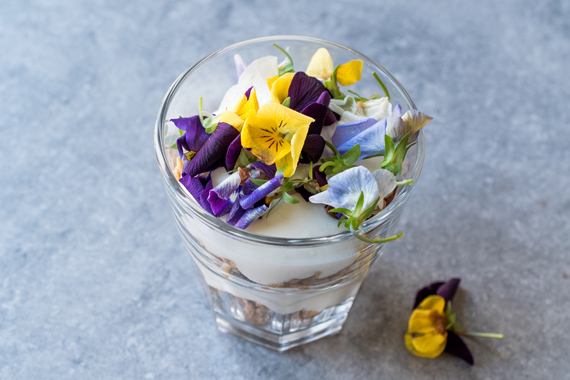 If you have time, get fancy with it and top with some edible flowers to pique your kids’ imaginations. 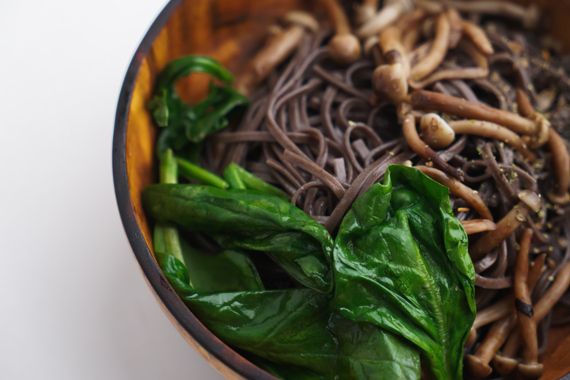 An easy after school or on-the go park snack, packed with protein. If your little one isn’t a fan of hummus, try some other plant-based dips like Bitchin’ Sauce. My kids’ favorite dippables are carrots, cucumber, jicama and sugar-snap peas. Pro tip: To make things even easier, try pre-chopping fruits and veggies and storing them in a mason jar or container in your fridge. Then, you can pull them out whenever you need for snacks or morning smoothies. The OMD family loves this. Simply sauté some chopped garlic and mushrooms in olive oil on low heat, then add spinach and sauté until it’s limp, but still bright green. Toss with your favorite pasta, and finish off with a sprinkle of almond parmesan. 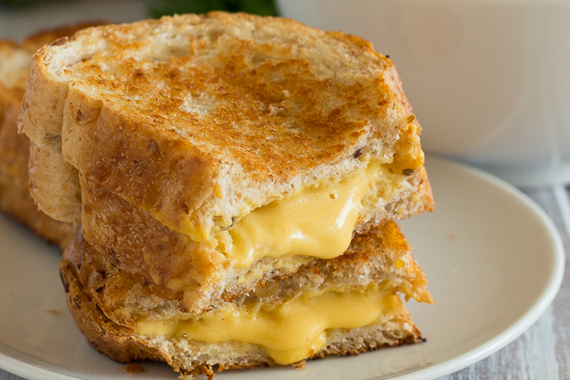 Picky eaters will love this plant-based grilled cheese. It’s ooey-gooey and crunchy at the same time. Or if you’re like me and sometimes need a fast meal in a pinch, throw two slices of your favorite plant-based cheese on some bread, coat with olive oil and grill em’ up– the perfect dinner for any day of the week! Want to get your kids to eat more veggies? Make your little ones your sous chefs! 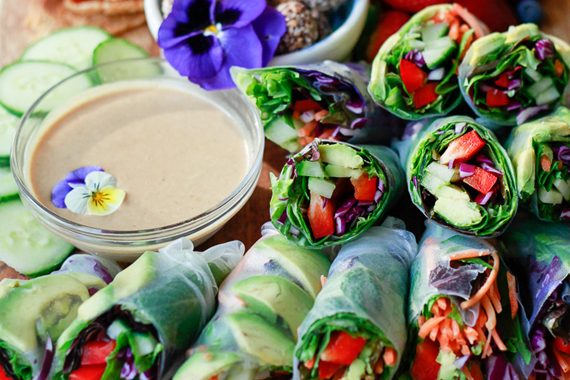 Chop up the ingredients together, then have a “spring rolling party” with the whole family. Check out this easy recipe. 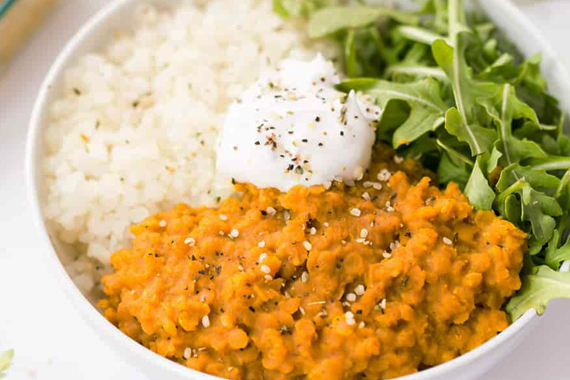 This vegan red lentil dal is literally the easiest meal in my arsenal and it’s my kids’ favorite dinner. I always make a big pot so we can eat all week long with some warm rice on the side. 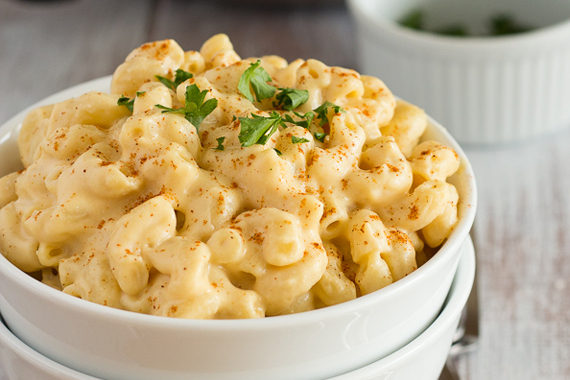 It doesn’t get more kid friendly — or creamy — than this! Try this delicious recipe for a new spin on a classic. Like what you see here? Don’t miss a beat. Sign up for our newsletter to get our plant-based Starter Guide, plus more posts just like these, right in your inbox. Ashley Schaeffer Yildiz is OMD’s Campaign Manager. She is passionate about building a healthy, planet-friendly food system, raising her plant-based family, getting creative in the kitchen, animals, yoga, swimming, and exploring nature.